Carports are increasingly becoming something of the past as homeowners turn to garage doors for carports with improved safety and sleek look of enclosed garages. 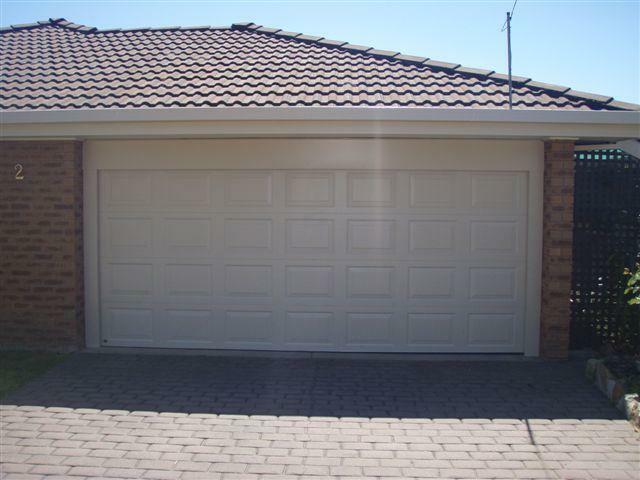 Are you looking for garage doors Albury? Or wanting to changing up the style of the front of your home? Live in Wodonga? No problem. Team Twin City can organise supply, install and structural work to close in your carport. Steelwork and necessary fabrications aren’t a problem for our team at Twin City Roller Doors. At Twin City Roller Doors, many of our customers call asking us if we can put a garage door on their carport. The answer is yes we can. Closing in your carport with a B&D Garage Door by Twin City Roller Doors can offer customers peace of mind, a new look to the home and security and safety for your home, car and loved ones. A carport conversion like this one, could be just the alteration or addition you need to your home. At Team Twin City we are creative thinkers, here to customise a solution at home to suit you and your family. An exposed carport can be inviting to your back yard, leaving your yard, home and vehicles a little vulnerable. Over the last couple of months in our region the number of break-ins, burglaries and robberies in Albury Wodonga are on the rise. It’s so horrible that even in our homes where we are meant to feel the safest in our own sanctuaries can be exposed to the vulnerability of these crimes. Closing in your carport can eliminate thieves from accessing your car, potentially taking your remote controls and coming back at another time to re-enter your home. We turn your carport into a garage that will look as if it has been there the whole time. It will provide a better looking finish to your house and from the street provides the look of a fully enclosed garage. Closing in your carport with a garage door Albury solution allows you to change the look of your home. One of our customers had recently put their home to market, and the fact they now had a lock up garage brought in more buyers for the sale. You can change so much about the look and style of your home with a new garage door. Why not make this the feature? With a new B&D panelift on the carport you can select so many colour choices, patterns and styles changing the overall appearance and scheme of your house. One of our recent customers made me aware that another reason they closed in their carport was so that their cars aren’t exposed to weather. After purchasing a new car the last thing our customer wanted to do was leave the car out in the driveway where the car would be exposed to all elements, heat, cold and rain. We converted the owner’s carport into one large garage with a B&D panelift door on the front, a nice high opening making it easy with a new four wheel drive. Often garage door security can be minimised because you simply forgot to close the garage door. Have you ever wondered if you closed the garage door after leaving your house? The perfect addition to your new garage door on your carport to stop crooks getting into your backyard is the B&D smart phone control kit. Ensure your garage door is always closed and monitor who’s been at home through the garage at the click of a button. This wireless activation can mean that even when you are at work, you can close your garage door at home. One of our most popular garage door accessories at Twin City Roller Doors is this smart phone control kit, taking secure garage door control to the next level. Come into the showroom at 132 Fallon Street , Albury or watch the video in action here. This was an exposed brick carport, we added the posts to fit the door, added flashings for a flush neat finish.